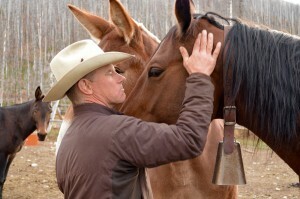 In the northern Rockies, rancher Dusty Crary has wrangled an improbable band of longtime enemies – cattlemen, fisherman, federal land managers, outfitters, hikers, hunters and “greenies” – to protect the sprawling ranches, untamed wilderness and iconic wildlife they all love. On the Kansas prairie, “industrial-scale” farmer Justin Knopf is using cover crops and no-till practices to restore depleted soils and increase his wheat and soybean yields. In the process, he’s decreasing harmful fertilizer losses to the air and water, and making his crops more resilient to climate change. On the Mississippi, Canal Barge Chief Executive Merritt Lane has joined an unprecedented effort to restore the river’s natural land-building functions in the Delta. It will help protect his mariners and the country’s most important shipping artery, which facilitates 60 percent of America’s grain exports. On the Louisiana bayou, Sandy Nguyen is fighting to keep alive the estuaries that harbor the shrimp and oysters her immigrant community relies on, and which help to protect Louisiana’s coastal residents from rising sea levels. And on the deep waters of the Gulf, commercial fisherman Wayne Werner is tangling with federal regulators to bring back red snapper, which will help supply local restaurants with a favorite dish and keep his buddies’ businesses afloat. In telling their stories, Horn challenges pervasive myths about Americans and environmental values. These myths hold that in these traditional and deep-red states, heartland Americans – people who run tractors, barges and fishing boats; and who attend church and town meetings – are hostile to environmental values. According to this belief, Big Ag is inherently destructive of nature, local organic is the only solution, and America is trapped in ever-more-hostile warring political camps. The truth is, the people in Miriam’s book are like the hundreds of ranchers, farmers and fishermen Environmental Defense Fund has partnered with over the years. They are conservationists because their professions and communities live or die by the natural resources they ply. They understand that if we’re going to meet growing needs for food, water and shelter in a changing climate, they’ll need to employ practices that improve, rather than harm, the ecosystems that sustain us. As a group, they’re also more aware than most of us of their connection to their neighbors and the larger world, Miriam says. “The water from Justin’s Kansas farm winds up in the Gulf where Wayne fishes. The ducks Dusty hunts on the lakes near his Montana ranch spend their winter in Louisiana’s estuaries,” she says. We cannot win the fight to preserve our natural heritage and our food supply without the people in Miriam’s book. 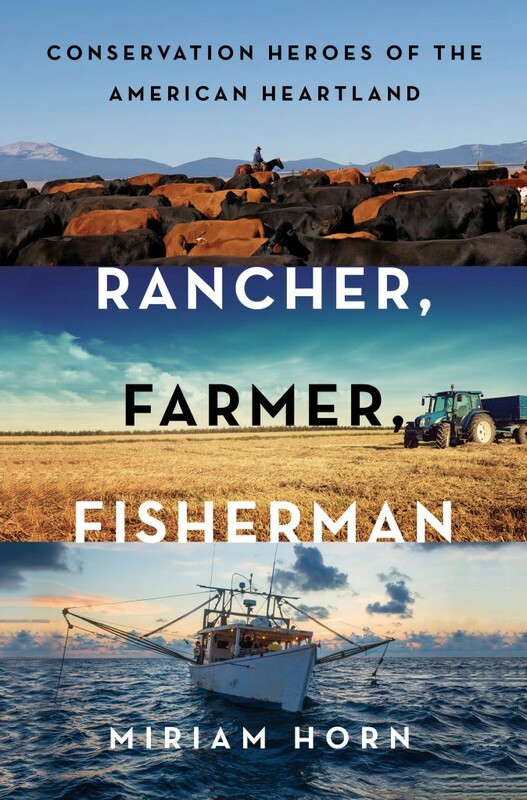 My hope is that Rancher Farmer Fisherman will help change the national conversation about what it means to be an environmentalist and re-establish conservation as a core American value. This entry was posted in ecosystems, Supply Chain, Sustainable Agriculture and tagged agricultural sustainability, American value, bipartisan, cattlemen, Climate, climate change, conservation, conservationist, conservative, cover crops, democracy, environmental defense fund, farmer, farming, fertilizer efficiency, fertilizer management, fisherman, Gulf of Mexico, hunters, hunting, kansas, land manager, Louisiana, Mississippi River, Montana, no-till, nutrient efficiency, nutrient management, progressive, rancher, ranching, red state, stewardship, sustainable agriculture. Bookmark the permalink. Both comments and trackbacks are currently closed. trend is stop using animals for food. They are not necessary for food and cause also many times more calories are used in animal production than ever used by humans so it is extremely inefficient! It pollutes the world!